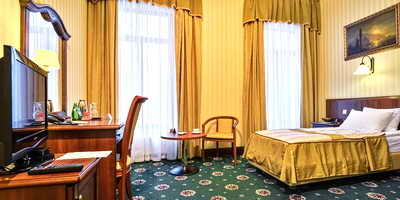 A small cozy hotel, opened in 2007, offers you comfortable accommodation in the heart of Odessa within walking distance of the main sights of the city Opera House, Philharmonic Society, the City Garden, Deribasovskaya Street, the Cathedral square of Spaso-Preobrazhensky Cathedral, surrounded by countless shops, boutiques, cafes and restaurants. 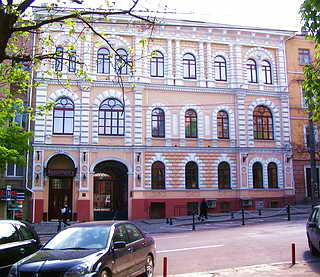 4-storey hotel building is an architectural monument of Odessa. 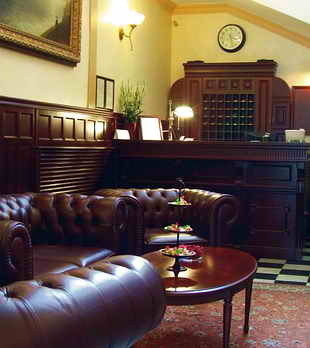 The interior design of hotel reflects respectable English Classics! 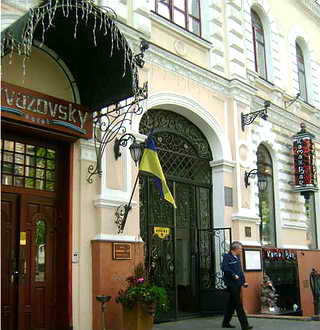 The hotel offers more than 70 reproductions of the famous painter Ivan Aivazovsky. 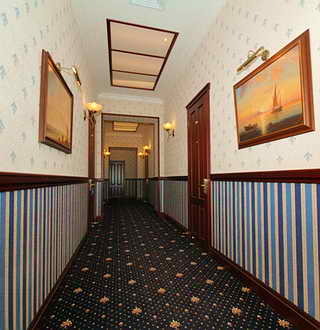 Hotel "Ayvazovsky" has 27 cozy NON-SMOKING rooms to offer its guests – these are 2 Suites, 4 Junior Suites, 5 Executive rooms, 5 Standard Single rooms and 11 Standard double rooms. 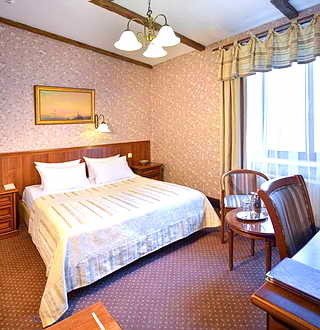 All of rooms are equipped with: international telephone connection, free Wi-Fi Internet, minibar, mini safe, air-conditioning, satellite TV, bathroom with a shower cabin and a hair-dryer, electronic door lock. 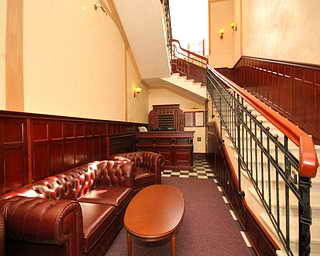 The accommodation rate includes a continental breakfast served by our friendly room attendants, or, at the option of guests in one of four nearby Cafe in the central part of the city. 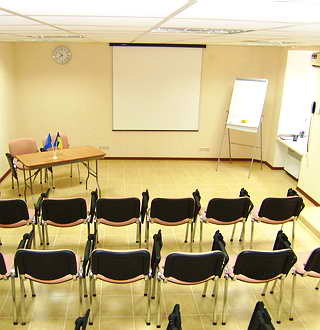 Aivazovsky Рotel offers a Conference Hall for 30 seats, with all the necessary equipment (screen, projector, flip chart, etc.) and comprehensive conference service, including coffee breaks coffee-breaks. 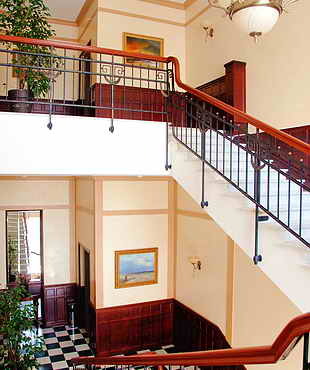 The security service of the hotel will make your stay comfortable and relaxing. 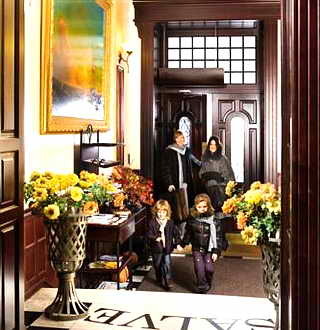 A qualified staff will provide guests with a warm welcome. 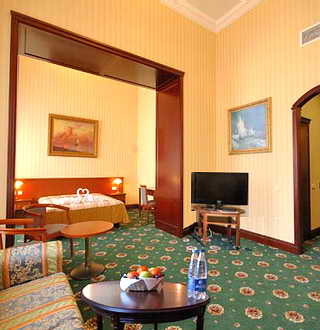 DISCOUNTS -5% FOR ALL ROOMS! The promotional prices are valid for accomodation from 01.09.2018 - 30.09.2018! 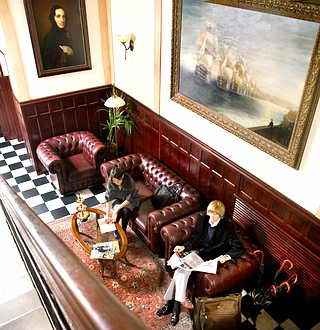 During peak times at the price of rooms may slightly increase. When booking in the additional wishes please write name of this special offer. Single bed. Shower. Accommodation only for one person is possible. The Double bed. In bathing a shower, a hair dryer, slippers. 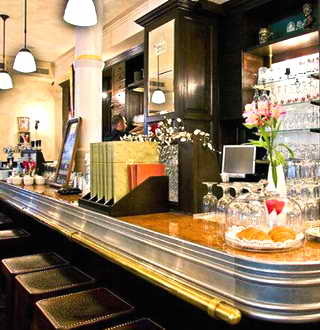 Situated on mansard floor of a building. The Double bed. In bathing a shower, a hair dryer, slippers. 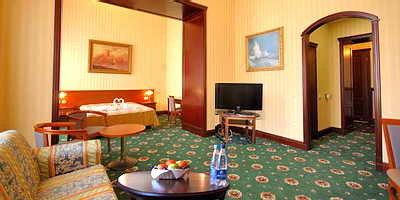 In the room there are: double bed. In bathing a shower, a hair dryer, slippers. Can be one-room or two-room. Double bed, displayed sofa. Dressing gown, slippers. 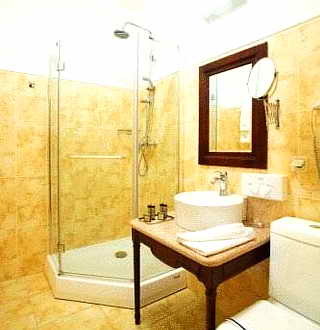 Accommodation up to four persons. Breakfast is not included. It's additionally payed UAH 160 (USD 6). * The prices valid from 01.09.2018 till 30.09.2018. 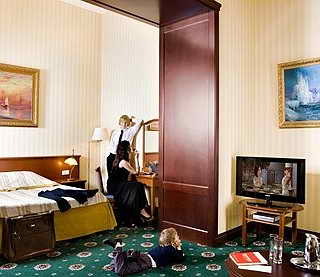 * Children up to 12 years old stay in parent's room free of charge (without extra bed & breakfast). 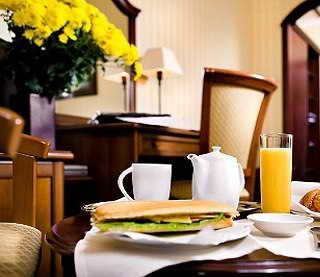 * Additional breakfast – UAH 160 (USD 6). 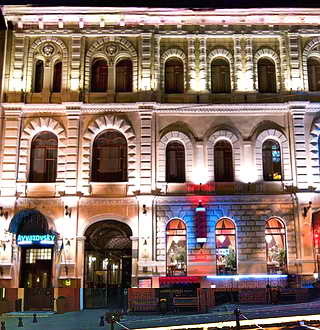 Lovely hotel in the heart of Odessa. Clean cozy rooms, friendly staff, tasty food. 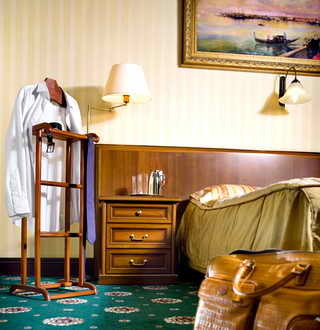 Nice classic interior.There is a nice mini-bar, kettle, cups, bathrobes and slippers in every room!